I have been teaching for 11 years now, and I absolutely love it. Every student is different, so every lesson is special. When I tell people that I usually work from 12 to 14 hours a day, they tend to be surprised or something. However, I believe it is as tiring or stressing when you do something you really enjoy doing. 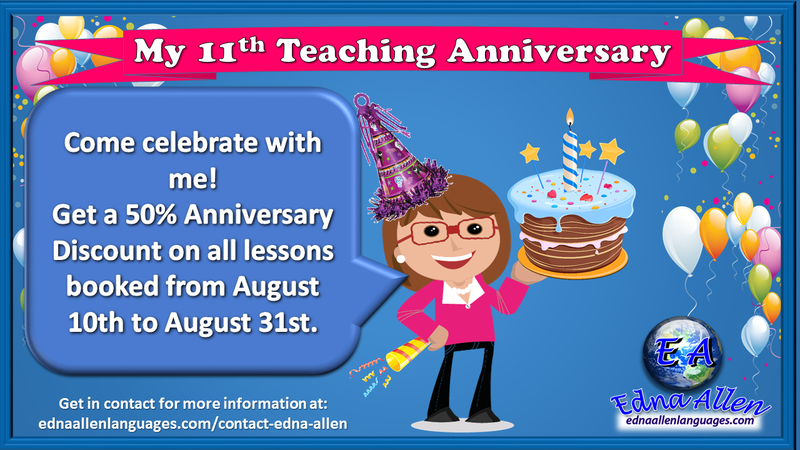 As my way to give even more for my students, to celebrate my birthday and my 11th teaching anniversary, I am giving a 50% discount for all lessons booked between August 10th and August 31st. Get in contact between these dates to check availability, share your learning needs and obtain more information.